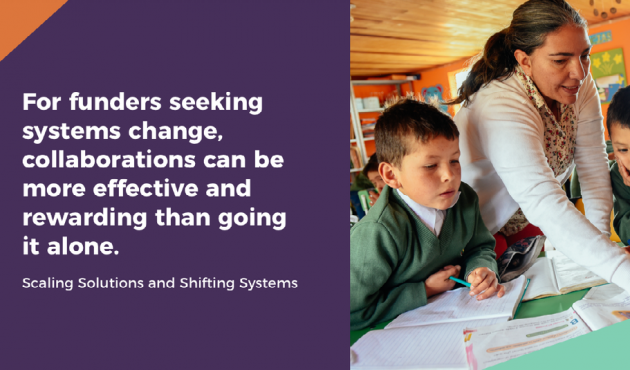 The Freedom Fund was featured in a report by the Rockefeller Philanthropy Advisors, Scaling Solutions toward Shifting Systems: Approaches for Impact, Approaches for Learning, about what lessons can be learned from existing funder collaborative models aimed at systems change. The Rockefeller Philanthropy Advisors Scaling Solutions towards Shifting Systems initiative was launched in 2016 to determine whether collaborative, longer-term, adaptive resources to fund and accelerate scalable solutions targeting systemic changes around pressing global issues can be fostered and encouraged. The report notes: “In a very short period of time the [Freedom] Fund has become a center of gravity for recognizing and tackling the issue [of modern slavery]. Read the report here (the Freedom Fund is profiled on p. 18).